Our family has many passions: the outdoors, music, food, travel... but creating and pop culture near the top of the list. 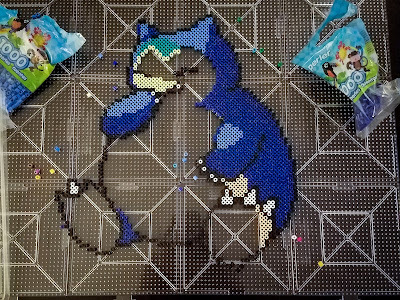 So when my boys pulled out the Fuse Beads we could see an idea forming. 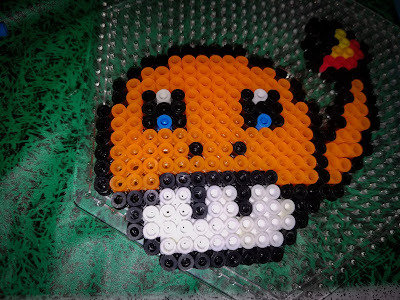 If you are unfamiliar with Fuse beads, they are small beads in all colors that can be melted together with an iron. 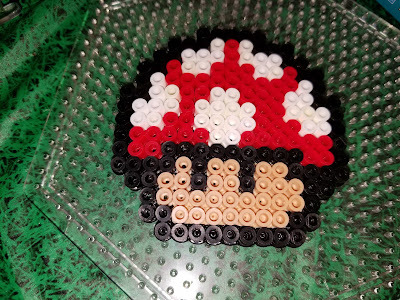 (We like the Perler brand as they melt evenly and they offer an amazing array of colors) Generally, you would use a special pegboard to lay out the design you are working towards before you iron them. 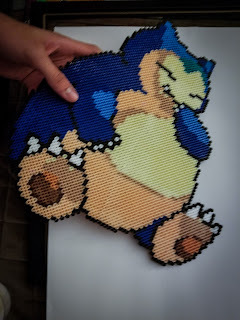 Perler's square boards also have a simple way of interlocking that allows for you to create much larger images. while our oldest was planning something more ambitious. 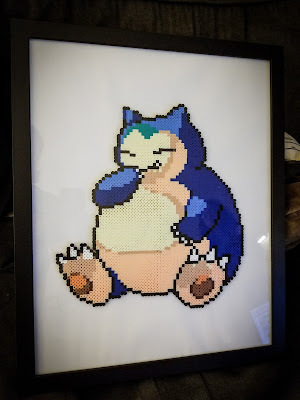 After doing a bit of research, he started to adapt an image of the Pokemon Snorlax using cross-stitch methodology. After one night the outline started to solidify. The process was a study in patience as the outline slowly started to fill in. It was truly amazing to watch as the beginning shapes filled with various colors and gradients, giving the piece form and texture. 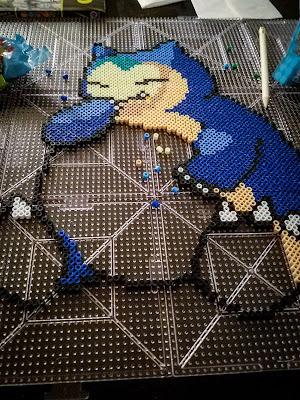 Once he was finished with placing all of the fuse beads, we ironed it very carefully. 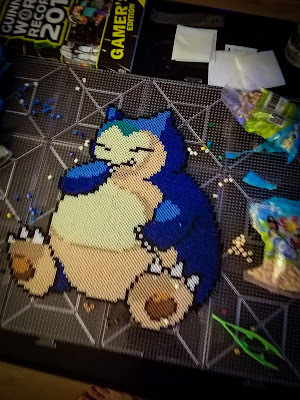 We covered Snorlax with parchment paper and using an iron on it's medium setting we carefully moved it over the entire piece to ensure each bead was attached to its neighbor. 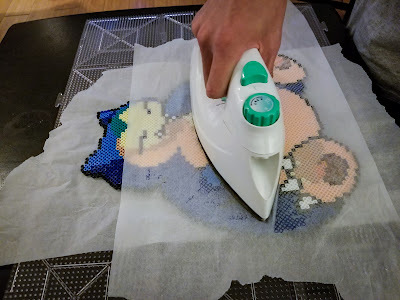 When we were done, we flipped him over and ironed the other side as well, to give him some stability. The completed art is awesome! Just need to fit it in a frame. 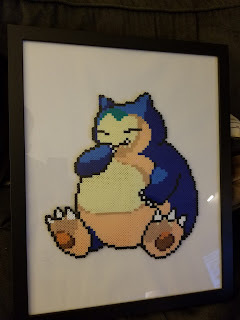 We now have a permanent Pokemon to join our sci-fi fantasy art wall. If you want to try it for yourself, Amazon has a great inexpensive starter kit.